With the arrival of spring, it's time to raise a hot, woody glass of whiskey and toast the end of winter and the coming warming of days. And where better to make such a toast than The Memphis Flyer's first-ever Whiskey Warmer? 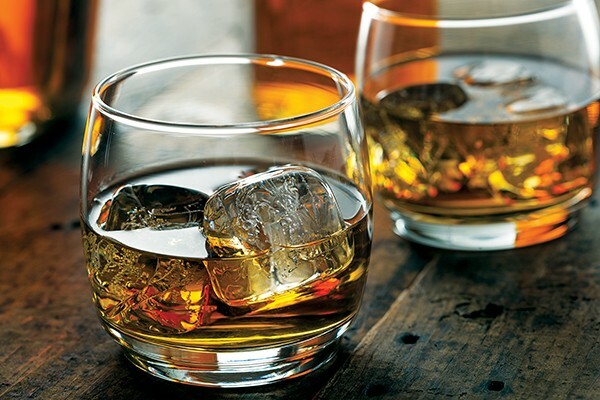 It's a new event that's being described as "a whiskey wonderland," with opportunities to chat with master distillers and to sample more than 30 big bourbons, earthy Scotches, spicy ryes, and other tasty whiskey products from around the world. Each ticket to the Flyer's Whiskey Warmer is good for 15 tastings. That means there will be ample opportunity for additional toasting. And as long as glasses are being raised in this manner, at least a few kind words should be said for Mississippi judge, law professor, and John Grisham mentor Soggy Sweat who, in 1952, in one of the most magnificent parodies of political doublespeak ever set down, denounced whiskey as a dangerous devil's brew before singing the drink's praises and calling it, "the oil of conversation, the philosophic wine, the ale that is consumed when good fellows get together, that puts a song in their hearts and laughter on their lips, and the warm glow of contentment in their eyes. "If you mean that drink," Sweat continued, "then certainly I am for it." 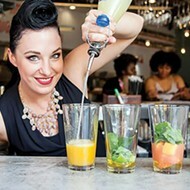 "This should be a whiskey evening to remember," says event organizer Molly Willmott, echoing the good judge's sentiments and anticipating an early sell out. 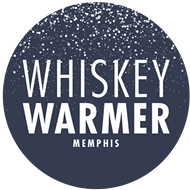 The Whiskey Warmer benefits Volunteer Memphis and features live music by Graber Grass and food from Owen Brennan's, Laura's Kitchen, and Babalu.